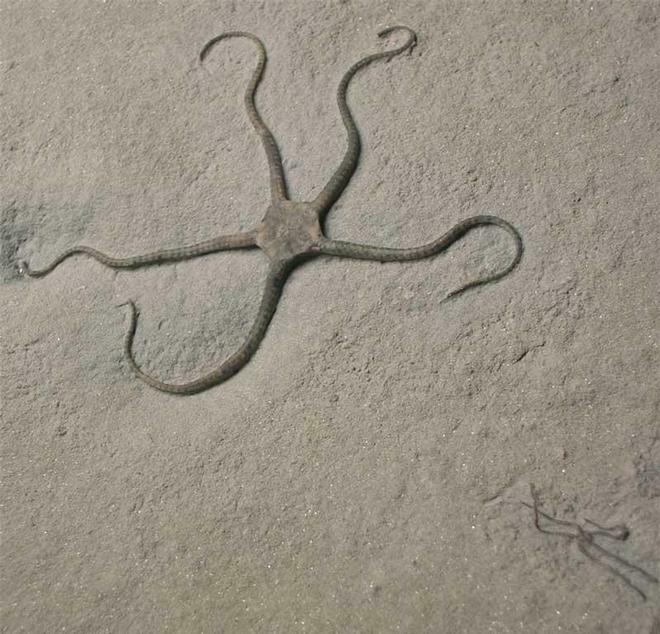 This classic Brittlestar is complete with marvellous detail throughout. Alongside the large Brittlestar is a baby specimen, also complete and incredibly scarse. 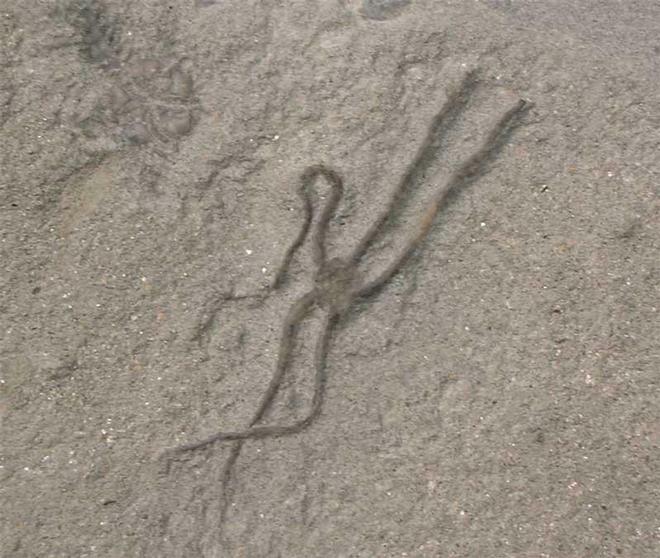 These fantastic creatures are very rare from this famous fossil locality situated on England's Jurassic coast. 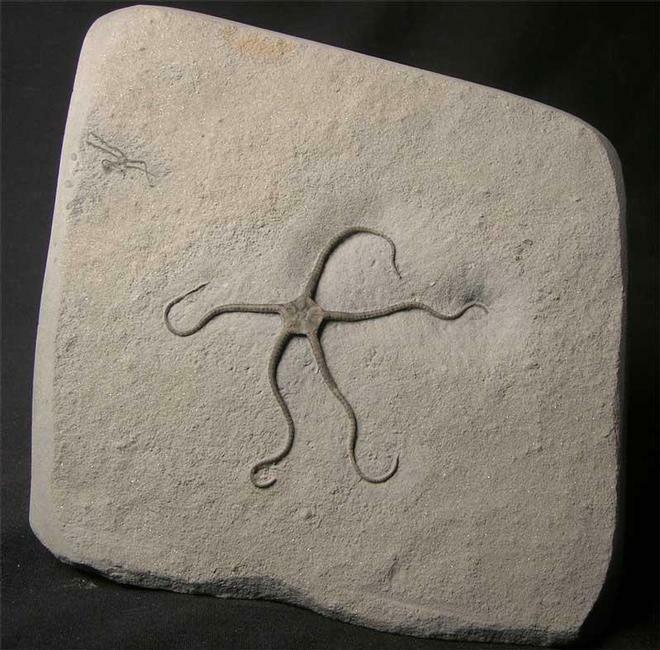 The hard siltstone surrounding the Brittlestars has been shaped and a flat base cut for ease of display. 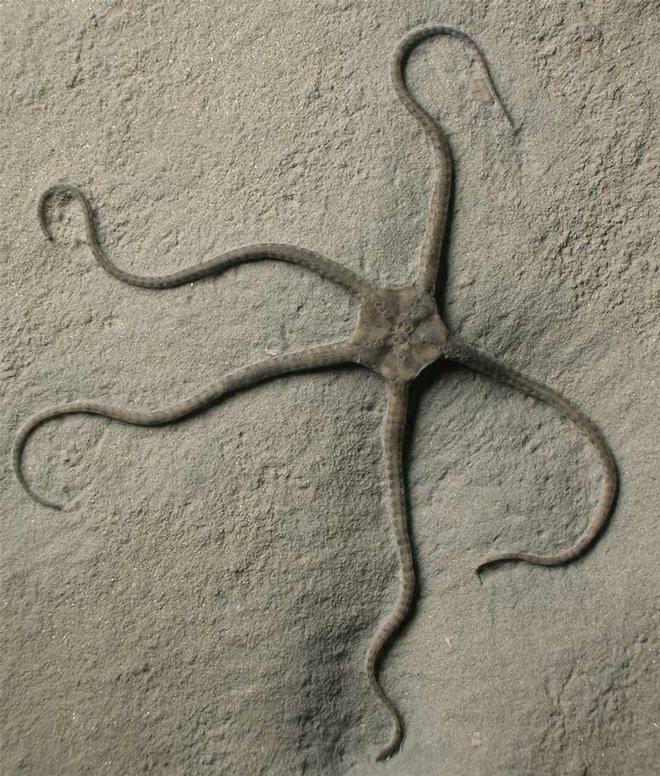 This world class fossil is approximately 190 million years old. One for the discerning collector of fine fossils. Prepared by Andy Cowap. There are supersize images in showcase fossils.